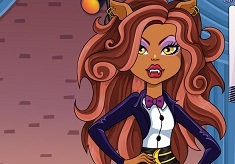 We move further with the games for toay and bring you this new game, a new game in which you have by your side, the beautiful Clawdeen Wolf. As always we are trying to offer you the best online games every day, so that you can have fun playing with us. 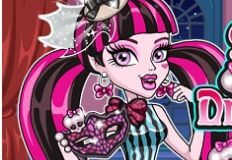 This new game that we have decided to offer to you next is a dress up game, a game in which you have to help Clawdeen Wolf choose the perfect outfit for tonight. 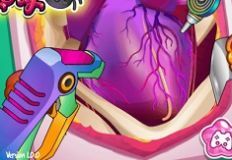 As always we are happy to offer you these new games, games in whihc Clawdeen Wolf is eager to join her and help her get ready for party. Tonigh at Monster High there will be a huge party with musci band and fireworks and all the students are invited. 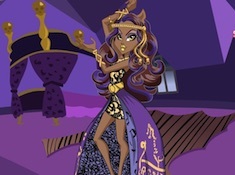 Clawdeen Wolf like to party but what she likes more is to get dressed with her creations and show them to the world. You need to take a close look at everything that she has to offer for you in this new game and choose the outfit and accesories that you like most. 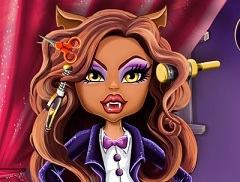 Have fun, here on games-kids.com with Clawdeen Wolf!